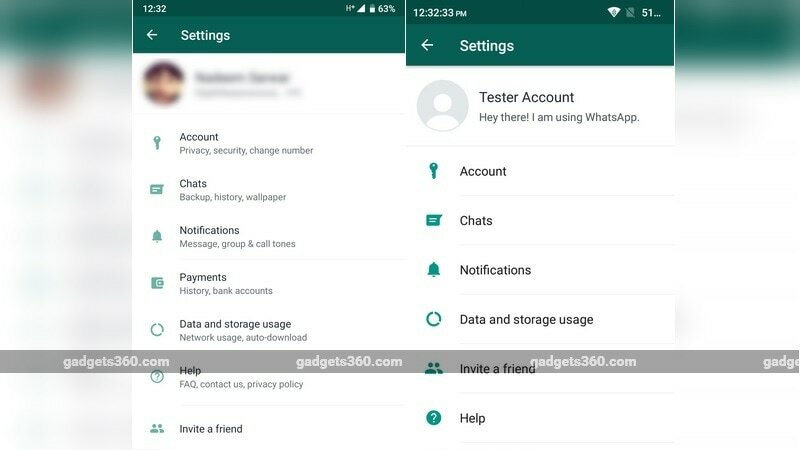 WhatsApp for Android has received a new beta update that introduces a redesigned ‘Settings’ menu with a slightly different layout and has also brought new icons for a variety of tools. The WhatsApp update is now live for beta testers on the app’s Android version that has the build number v2.19.45. 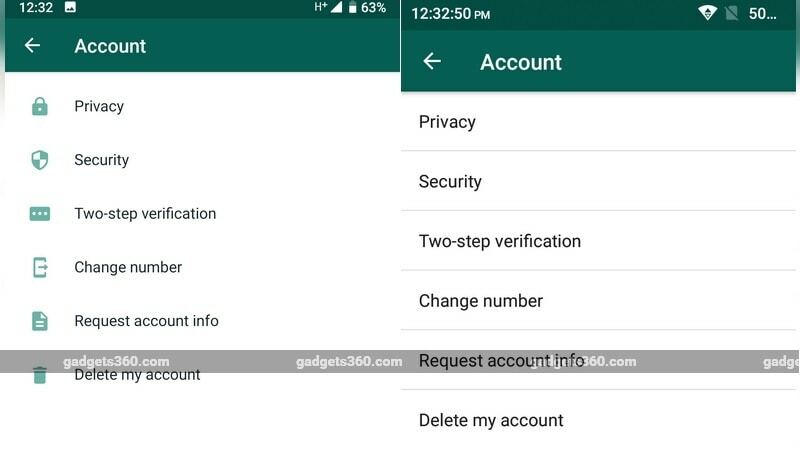 The redesigned ‘Settings’ menu layout and the other changes will reportedly soon be available to all WhatsApp users on Android via an update that will be rolled out through the stable Google Play channel. 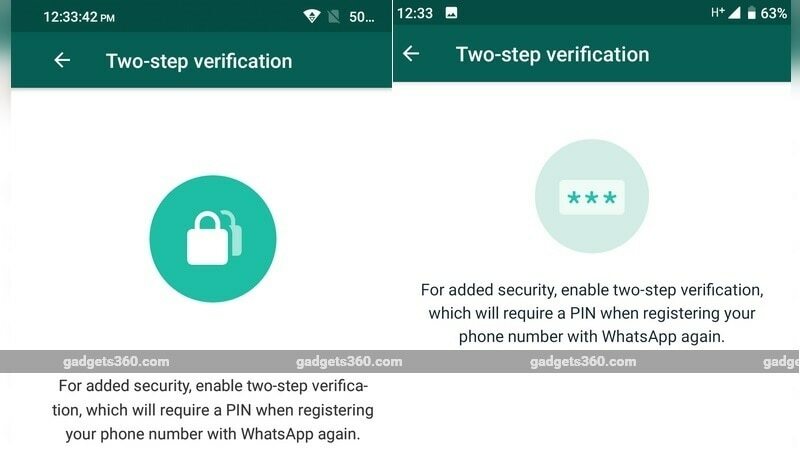 We got our hands on WhatsApp’s new beta update and compared the changes introduced by it with the most recent stable build (v2.19.34) of the app on Android. The following screenshots show a side-by-side difference, highlighting the relocation of certain tools, new icons and the way information is displayed on the screen. The first noticeable change is the addition of a ‘Payments’ option on the main ‘Settings’ page which shows a history of payments and details of the linked bank account. Opening the ‘Accounts’ section reveals that each option now has a dedicated icon, while the stable build lacks iconography in the sub-sections. Moreover, tapping on ‘Security’, ‘Change number’, and ‘Two-step verification’ reveals that they have also gained redesigned icons too. The layout of all options in the ‘Notifications’ section remains the same though. All the tools in the ‘Help’ section have also been updated with dedicated icons. Going over to the ‘Data and storage usage’, one can now see the net amount of data sent and received below the ‘Network Usage’ text and the memory usage status below ‘Storage’. This information interface is absent on the messenger app’s stable version. 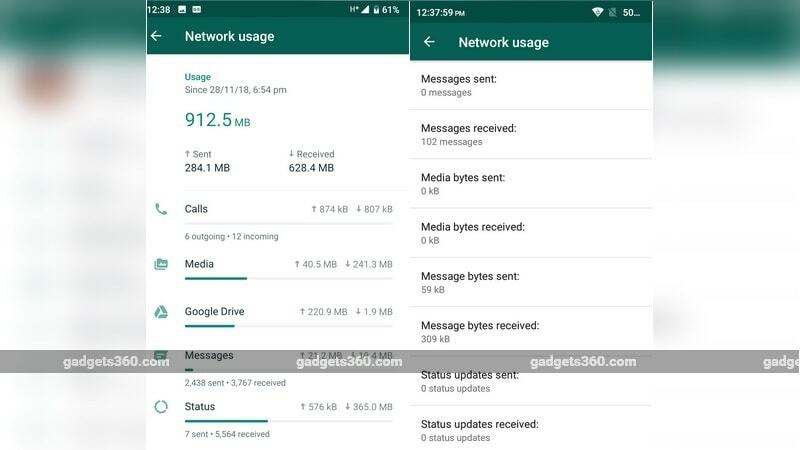 Moreover, tapping on the ‘Network usage’ option reveals a very different layout, with each parameter such as calls, media, and messages featuring an icon of their own, while the storage figures are displayed on the right. Also, the ‘Network Usage’ page now shows the memory usage status with details such as date and time, as well as the total amount of data sent and received by users. With the exception of ‘Payments’, it appears that the changes brought by the beta update are mostly functional in nature and were first spotted by WABetaInfo. The beta watcher also claims the aforesaid tweaks will be rolled out via the stable channel soon but a release date is yet to be revealed.